“No one has - as yet - managed to document land-based, industrial salmon production. It’s just not that simple"
Kjell Arild Lorentzen and Gigante Salmon currently have three land-based projects at the planning stage in Northern Norway. Kjell Arild Lorentsen and Gigante Salmon are keen to establish land-based salmon production at all three locations three different Nordland County municipalities. 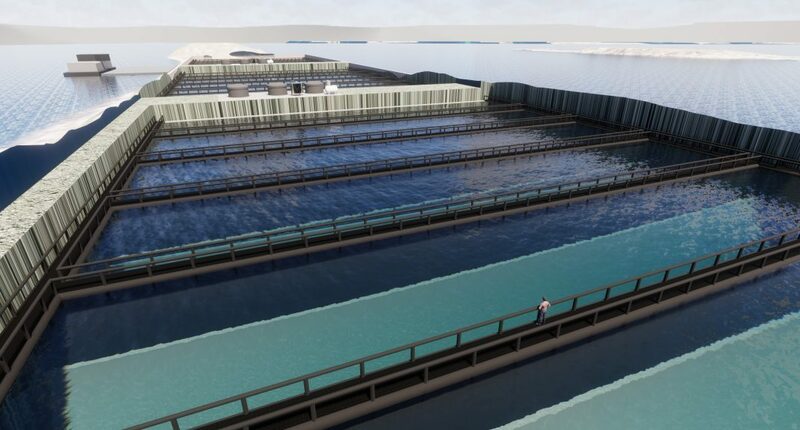 Each site will have the capacity to produce up to 10,000 tonnes of salmon annually. “No one has – as yet – managed to document land-based, industrial salmon production It’s just not that simple, and therefore must be taken seriously,” Lorentzen told Salmon Business when we called him for a status report. Lorentzen is a veteran in the aquaculture industry, having been involved in salmon farming since 1976, and together with his family controls the company Gigante Havbruk based in in Bodø. According to Lorentzen the projects are still at an early stage. It takes time to apply for re-regulating, and to carry out impact assessments before a production license can be granted. Previously, an investment framework of around NOK 250 million (EUR 26 million) had been suggested for each production site. “The final amount to be invested hasn’t been clarified yet. Regardless, it’s not a matter of any concern at the moment,” Lorentzen said. One of the planned production sites, Verholmen off Bolga, is 820 metres long and 90 metres at its widest point. Total surface area: around 18 acres. This is also the district where Lorentzen grew up, but he stressed that all of the projects have equal priority. “The intention is that we build all three. However, it’s natural that you build one first before starting on the next,” concluded Lorentzen.